Babz Rawls Ivy is currently Editor-in-chief of The Inner-City News, a 25 year old Black owned weekly print publication in Greater New Haven, CT; and Liaison, Corporate Affairs, Penfield Communications, Inc., the publishers of the Inner-City News. She is a Certified Spiritual Director, with a growing practice under her ministry Path Illuming. She is Co-Online Editor/Content Curator of Justice Imperative blog. She is a popular on-air Radio Personality on CT’s oldest African American Affairs radio program, The Electric Drum, WYBC 94.3 Yale Broadcasting, as well as her own successfully produced internet radio show Lovebabz LoveTalk. She holds a BS in marketing from a Historically Black College, Barber-Scotia College in NC (Mary McCloud Bethune was educated there) and is a National Urban Fellow with a Master’s degree in Public Administration from Baruch College, City University of New York. 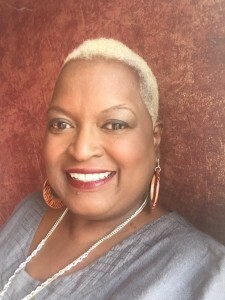 Babz has been elected to public office twice, serving two terms on The New Haven Board of Alders and has served as a Mayoral appointment to the New Haven Board of Police Commissioners; Served on various local and national boards for music, public governance and social supportive services. She has just recently been appointed by Mayor Toni N. Harp to The Citizens Television Board of Directors. A thought leader and expert in personal development and personal crisis recovery, Babz uses her experiences to support women entering and exiting the federal prison system. Armed with first hand knowledge of the hardships and struggles of maneuvering the world with the complications of being labeled a felon, Babz serves on The Editorial Board for the book Justice Imperative How Hyper Mass Incarceration Hijacked The American Dream. And for the past 5 years she has facilitated a monthly support group Eat Drink Divorce, for people in various stages of divorce. Her family life is hectic, challenging and joyous raising four brilliant and amazing children who are thriving and becoming strong, independent well-rounded individuals. As a popular social media maven and social media strategist you will find her on any given day holding court on various social media platforms, cuttin’ up and raising hell; always speaking truth to power. She is a master at allying like-minded folks against intolerance, ignorance and raising social consciousness. She is a member of Delta Sigma Theta Sorority Inc., the largest Black Greek Women organization in the world. She is currently writing her memoirs, slated to be published sometime in 2015. She serves on several boards both in New Haven and across the country. Her commitment to New Haven is unwavering.